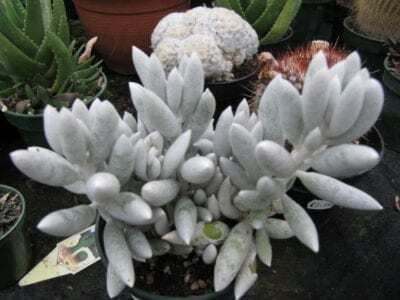 If you enjoy succulent plants, or even if you’re just a beginner looking for something interesting and easy to care for, then the Senecio cocoon plant may be just the thing. Read on to learn more about it. 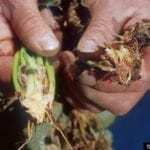 What is a Cocoon Plant? The Senecio cocoon plant, botanically called Senecio haworthii, is a small shrub-like specimen, growing upright to 12 inches (30 cm.) in its native South African conditions. A perennial plant, this succulent has most appealing white foliage, making it a must-have in the serious collection. If you grow the woolly senecio in a container, keep in mind that potting up into larger containers allows it to get bigger over the years, although it is unlikely for the domesticated plant to reach the size of one growing in the wild. Minuscule pure white hairs on the leaves are thick and pubescent, covering the foliage with a shimmering effect as they inch upward in a cylindrical form. The tubular leaves, resembling a moth’s cocoon, leads to the common name. Cocoon plant info advises full sun for this succulent plant. Four to six hours of morning sun is preferable. If this is not possible, consider adding an artificial light for this plant. When growing or overwintering indoors, a south or west window may provide enough sun. Outside, this plant can take temperatures of 25-30 F. (-6 to -1 C.), in a sheltered location, but must be absolutely dry to survive. More likely, you’ll bring it in inside for cold winters. Include it in a dish garden with blue senecio for an attractive contrasting combination indoors. If the upright posture begins to droop with the weight of new stems and leaves, prune from the main stem. Cuttings will root, as will fallen leaves. Expect robust growth from the clipping point if you’ve pruned in early spring. Cocoon plant care includes limited watering in summer. Overwatering is fatal to this plant, so if you’re new to growing drought-tolerant succulents such as woolly senecio, don’t give in to the urge to water when it might not be needed. A gentle squeeze of the leaf allows you to know when it might be time for some water. If the leaf is firm, it is holding adequate water. Read more articles about Cocoon Plant.